There’s some things in life that I don’t know well, such as chemistry and color theory, but there are others that I know like a mother knows her child. I like to think I know the eBags Mother Lode that well. My family owns 3 eBags Mother Lode backpacks, two in purple and one in black. We’ve used these backpacks from Punta Arenas at the southern tip of South America all the way to Irkutsk in Eastern Siberia. We’ve been living out of them for the past 2 years. With that said, I love some aspects of the Mother Lode and hate some other aspects as I’ll mention in the pros and cons. When I think of the Mother Lode, I think of a carry on suitcase without wheels. The backpack has a massive capacity of around 54 liters, larger than the Kelty Redwing. The fact that the bag is shaped like a rectangular prism makes it meet all carry on requirements while being very large. 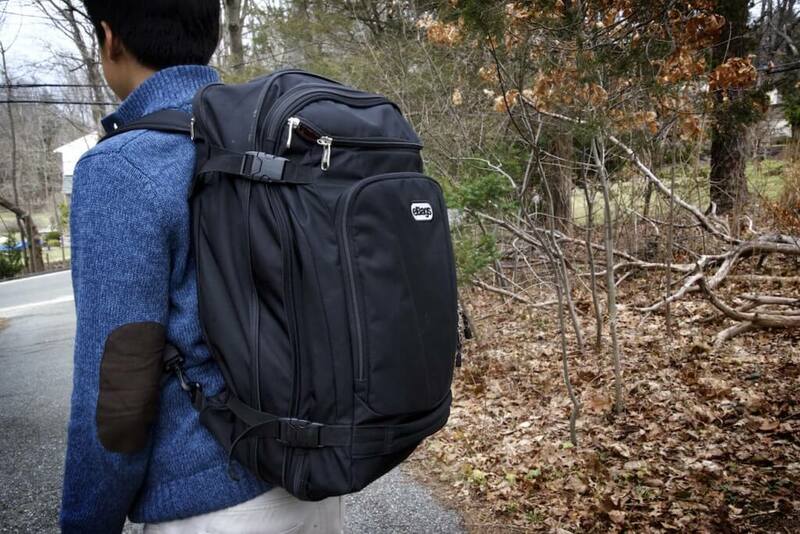 With the backpack opening like a suitcase, it is easy to access clothes and other gear inside. I highly recommend you get some packing cubes along with the backpack to help with organizing clothes. In addition to the main compartment, there is also a smaller compartment in the front of the bag for holding pens, and smaller things. At the back of the bag, there is a laptop compartment which allows you to easily slide your laptop in and out when going through airport security. The eBags Mother Lode is lightweight as it doesn’t have a frame like the Kelty Redwing 50 or other travel backpacks. The term lightweight is subjective, but when I say lightweight, I mean compared to other similar sized backpacks. Unlike other backpacks which aren’t travel specific, the eBags Mother Lode has features tailored to the traveler such as its lockable zippers and stow away backpack straps. I like to think of the eBags brand as almost a store brand, the quality is ok, it’s a bit cheaper than other brands and the packaging isn’t always as nice as the others. The first issue that I have with the Mother Lode that I want to point out is it’s appearance. Since it is basically a suitcase without wheels, it’s boxy, fat and ugly. The eBags logo at the front of the bag is far from discreet, but at least you probably won’t get mugged. While the lack of a frame makes the bag lighter, it also makes it less comfortable to carry. The Mother Lode includes a removable waist belt, however it is completely useless because it is as thin as a compression strap and isn’t padded at all. The shoulder straps are padded and the bag also includes a sternum strap, but neither which mitigate the comfort issues. 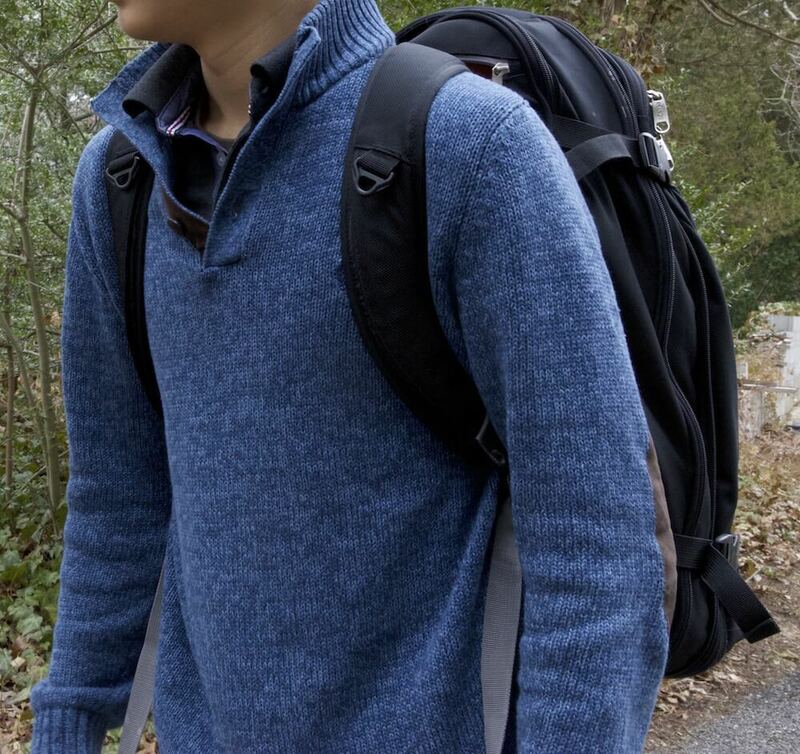 When you pack 54 liters worth of clothes into a backpack, your backpack will weigh around 30 pounds or more which will cause the straps to dig into your shoulders and make your back and neck sore. This backpack is crying out for a padded waist belt. If you aren’t planning to move around a lot with your backpack on, then the Mother Lode is completely fine. If you are planning on being mobile and hiking with your backpack do not get the Mother Lode for the good of your back. The eBags Mother Lode is a very big backpack. If you are a woman under 5’3”, you may want to get a smaller bag. My sister, @bethanylooi, is 5 foot and the eBags Mother Lode takes up her entire back, which she says is uncomfortable and looks weird. Thankfully, eBags has made another backpack called the TLS Mother Lode Weekender Convertible Junior, which is like the Mother Lode with a smaller capacity and built for smaller people. The Mother Lode is made of a sturdy polyester. In my years of use, I’ve never torn or broken any parts of the bag although my sister has. Towards the end of our 8 month trip in South America, my sister’s Mother Lode’s zipper broke. By the time we were back in the US, the zipper was completely messed up, so my sister emailed eBags about the issue. A few weeks later, eBags sent her a new Mother Lode. This backpack is not very water resistant, but I’m not sure why you’d run around in the rain with this bag as it is a travel backpack and not a hiking backpack. If it’s raining maybe you should go indoors or take a cab. If you are very concerned about your pack getting wet, you could buy a rain cover. I’m going to be straightforward here: I don’t really like the eBags Mother Lode. It’s a real workhorse, but doesn’t have the flare that makes you say “I want that”. It’s functional, economical and ugly, like a Toyota Corolla. Although it’s unattractive and uncomfortable to carry more than 30 feet, you can’t deny that the eBags Mother Lode is fantastic in some other aspects. 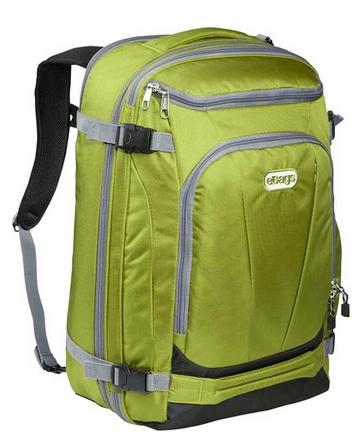 It’s lightweight, has a large capacity, has easy organization and best of all, it costs less than $100 unlike most other packs. You can find the eBags Mother Lode here on Amazon.com. You can also get the eBags Mother Lode on the eBags website. What travel backpack do you use? If you have any questions about the Mother Lode, feel free to ask in the comment section as well. « Clif Bar Review: Are Clif Bars Healthy? Nice review. How do you think this bag compares to the osprey porter? Thanks! Honestly, I haven’t tried the Osprey Porter, but I think it’s quite similar in terms of design to the Mother Lode.